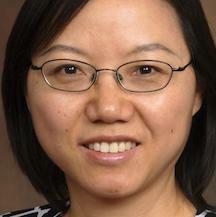 Liping Huang, a professor of materials science and engineering at Rensselaer Polytechnic Institute in Troy, New York, was appointed associate dean for research and graduate programs for the university’s School of Engineering. She joined the faculty in 2008 and became a full professor in 2014. Dr. Huang holds bachelor’s and master’s degrees in materials science and engineering from Zhejiang University in China and a Ph.D. in materials science and engineering from the University of Illinois. Elyn Saks was named a Distinguished Professor at the University of Southern California in Los Angeles. She is the Orrin B. Evans Professor of Law, Psychology, and Psychiatry and the Behavioral Sciences at the university. She also serves as director of the Saks Institute for Mental Health Law, Policy and Ethics. Professor Saks is a graduate of Vanderbilt University and Yale Law School. She also earned a master’s degree at the University of Oxford in England. 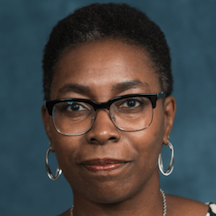 Robin Means Coleman, a professor of communications and a professor of Afro American and African studies at University of Michigan, was named vice president and associate provost for diversity at Texas A&M University, effective April 1. Sharon Cresci was promoted to associate professor of medicine and of genetics at the Washington University School of Medicine in St. Louis. Her research focuses on the pharmacogenomics of cardiovascular disease. Dr. Cresci is a graduate of Binghamton University of the State University of New York System, where she majored in biochemistry. She earned her medical degree at New York University. Kim Michelle Lewis was appointed professor of physics at Howard University in Washington, D.C. She is also serving as associate dean for research and graduate programs. She was an associate professor of physics, applied physics and astronomy at Rensselaer Polytechnic Institute. Dr. Lewis is a graduate of Dillard University in New Orleans, where she majored in physics. 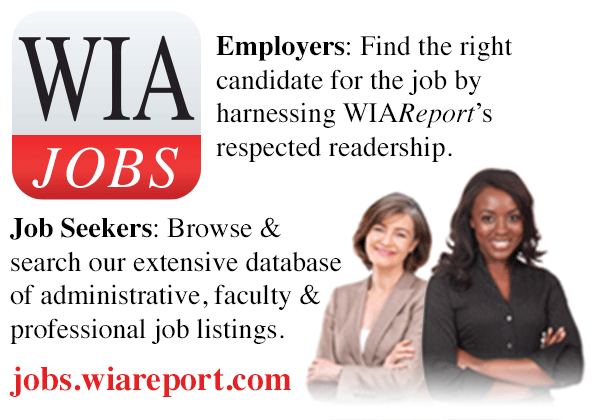 She holds a master’s degree in electrical engineering and a Ph.D. in applied physics from the University of Michigan. Wendy Wolford, the Robert A. and Ruth E. Polson Professor of Global Development at Cornell University in Ithaca, New York, was given the added duties as vice provost for international affairs at the university. In this role, she will direct the Office of Global Learning. She is the co-editor of Governing Global Land Deals: The Role of the State in the Rush for Land (Wiley-Blackwell, 2013). Professor Wolford is a graduate of McGill University in Montreal, where she majored in economics and international development. She earned a Ph.D. in geography from the University of California, Berkeley. Margaret J. Couvillion was appointed as an assistant professor of entomology in the College of Agriculture and Life Sciences at Virginia Tech. Her research is focused on honey bees. Dr. Couvillion is a graduate of Loyola University in New Orleans, where she majored in biology. She holds a master’s degree in neurobiology from Duke University and a Ph.D. in behavioral ecology from the University of Sheffield in England. Michele S. Moses, a professor in the School of Education at the University of Colorado at Boulder, was named associate vice provost for faculty affairs at the university. Dr. Moses joined the faculty at the university in 2005 and was promoted to full professor in 2011. Dr. Moses earned a master’s degree in higher education student affairs from the University of Vermont. She holds a second master’s degree and a Ph.D. in educational foundations, policy, and practice from the University of Colorado. Kelly Schlendorf, an assistant professor of medicine at Vanderbilt University, was appointed medical director of the Adult Heart Transplant Program at the Vanderbilt University Medical Center. She has been associate director of the center since 2016 and has been on the faculty since 2012. Dr. Schlendorf is a graduate of Duke University in Durham, North Carolina. She holds a master of public health degree from Johns Hopkins University in Baltimore and a medical degree from Emory University in Atlanta.